Argentina, Airpost; 1930 Zeppelin First Flight Complete, #C20-C29, l.h. to o.g., Fine to Very Fine, #C29 signed Sanabria. 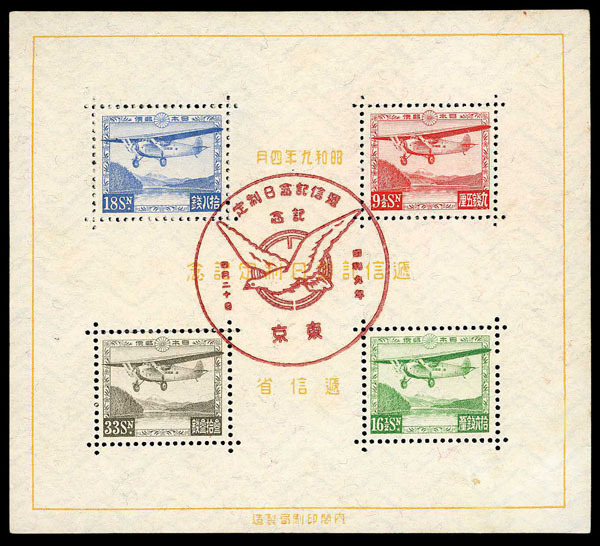 China, 1900 Cover From Foochow to Chicago, Franked with China #99 (10), tied by Foochow 17, approx., 1900 cancels, and Japan #79 with Shanghai IJPO cancel, Yokohama, Shanghai and San Francisco backstamps, some creases, Fine. 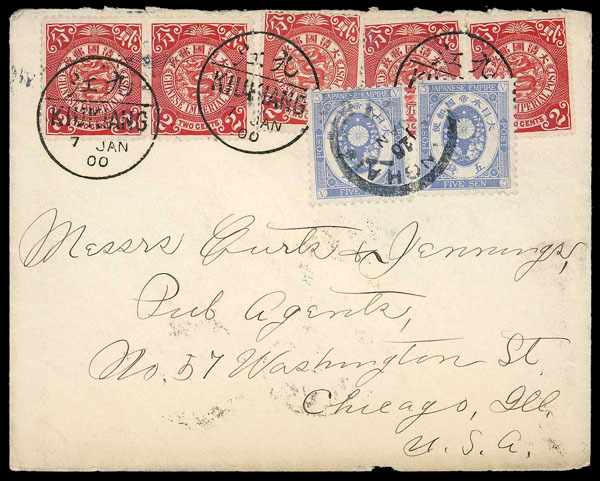 China, 1900 Cover From Kuikiang to Chicago, Franked with China #100 (5), tied by Kuikiang 7 Jan 1900 cancels, and Japan #74 (2), with Shanghai IJPO cancel, backstamps from Shanghai, Yokohama, Tacoma WA., and Chicago, torn a little roughly at top, Fine. 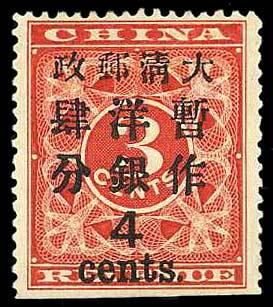 China, 1897, Large 4¢ on 3¢ Red Revenue, #82, o.g. (h.r. ), natural s.e. 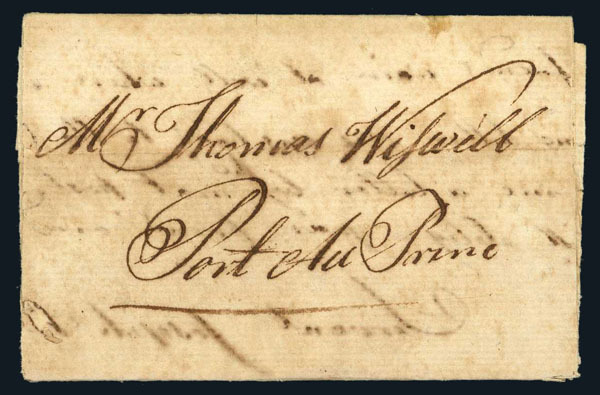 ; small thin with pencil notation on reverse, Fine. 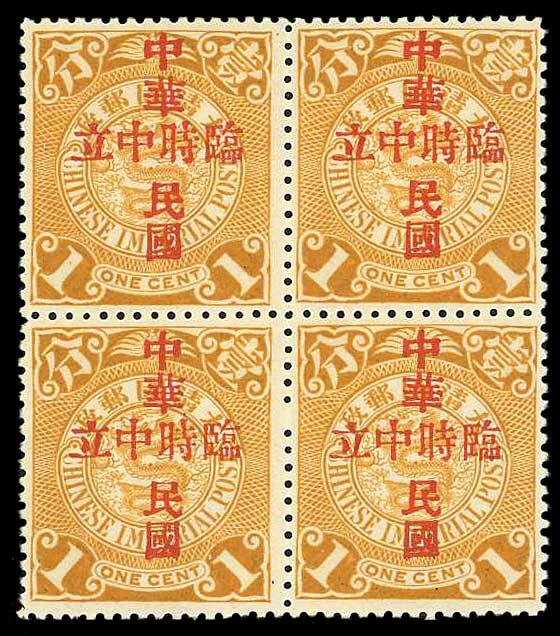 China, 1912, Nanking "Provisional Neutrality" Overprint, 1¢ Ocher, Block of 4, #138, n.h. (3), l.h. (1), Fine to Very Fine. 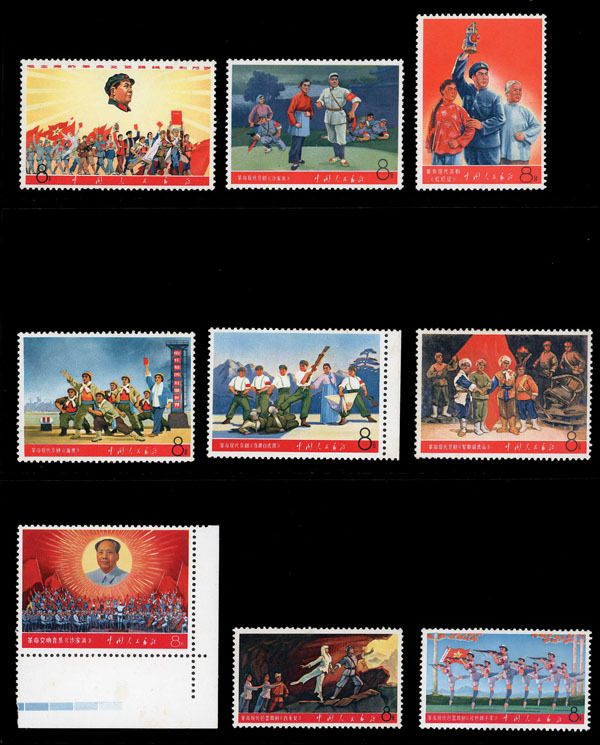 China (People's Republic), 1968, Revolutionary Literature and Art Complete, #982-990, n.h.; #982 short perf, Fine to Very Fine. 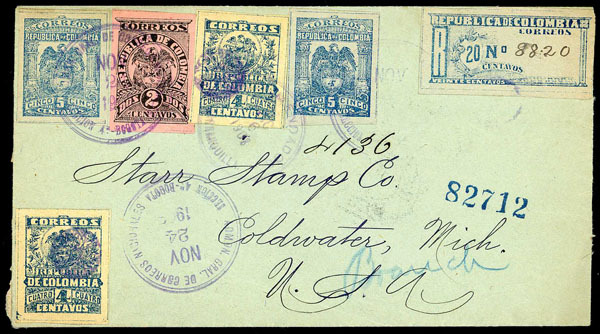 Colombia, 1902, 2c, 4c, 5c and 20c on Registered Cover, #266, 284, 285, F17, With two each of the 4c and 5c, registered and tied with Nov. 24, 1903, Bogota violet cancels, to Coldwater Mich. with oval New York 1-1 1904 backstamp; partial tear on reverse only, Fine to Very Fine. Estonia, Airmail; 1923 10m on 5m and 20m on 5m Rough Perf 11½, o.g., Fine to Very Fine, signed Sanabria, both with 1994 A.P.S. certificates. 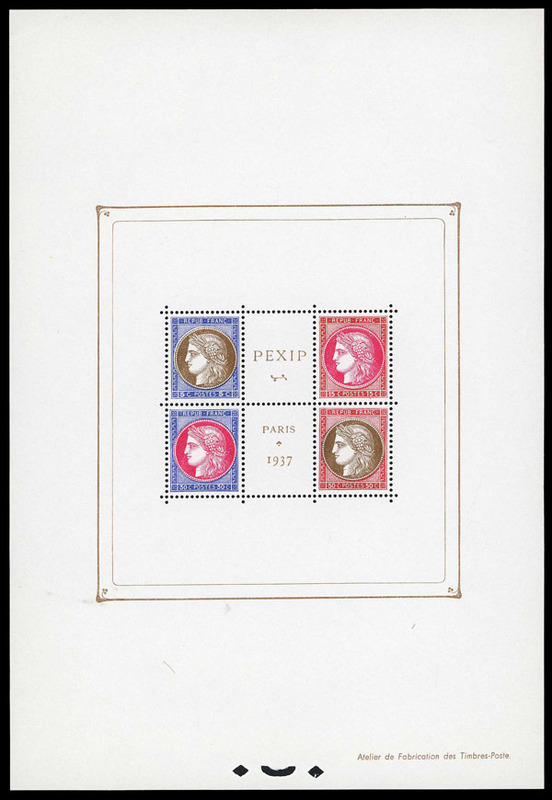 France, 1937 Paris Philatelic Exhibition Souvenir Sheet, #329, n.h.; trivial corner bend top left, otherwise Choice Very Fine. 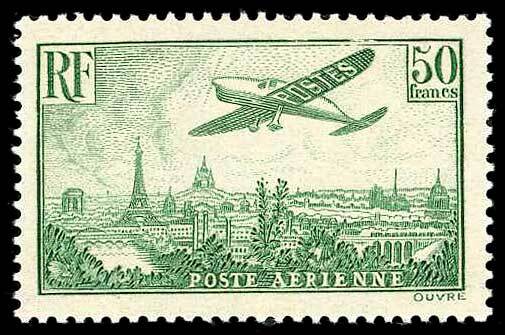 France, Airmail; 1936, 50fr Emerald, #C14, o.g., slight dry printing top right frameline, Fine to Very Fine. 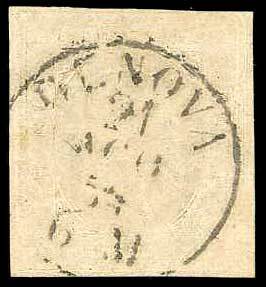 Germany, Baden, 1862, 30kr Orange, #25, son cds cancel; filled thins, Fine appearing, signed Seeger BPF. Germany, Airmail, 1930, 2m-4m So. 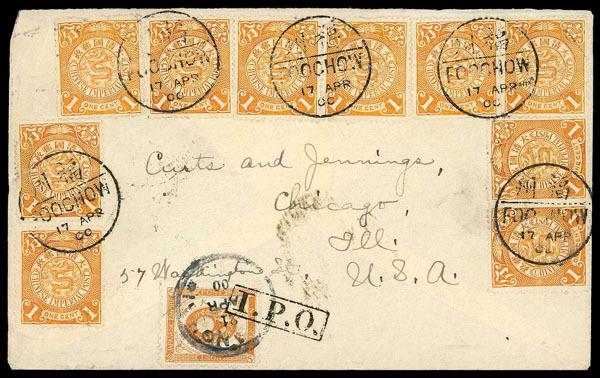 America Flight Zeppelins on Cover, #C38-C39, 2m single and 4m pair, v.f. 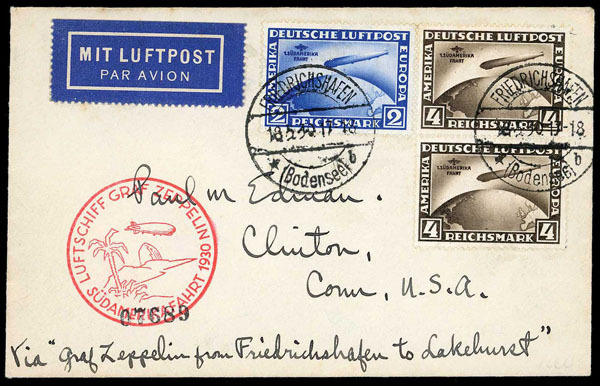 centering but some gum on face of all three, tied by May 18, 1930 Friedrichshafen postmark, May 31, 1930 Lakehurst receiving postmark on back, a Fine cover. 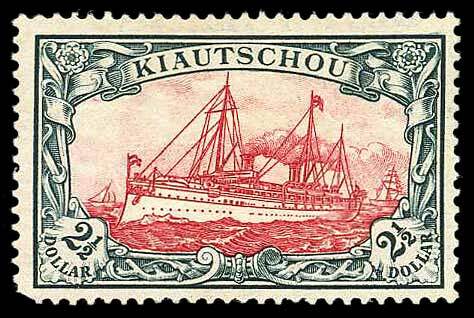 Germany, Kiauchau, 1905, $2½ Slate & Carmine, Perf 25 x 16, #32a, o.g. 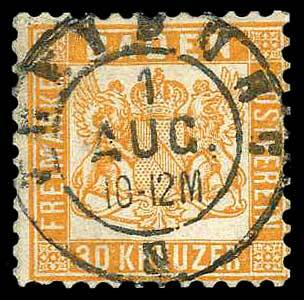 ; tiny repaired tear at top in margin and rounded lower left corner, otherwise Fine to Very Fine. 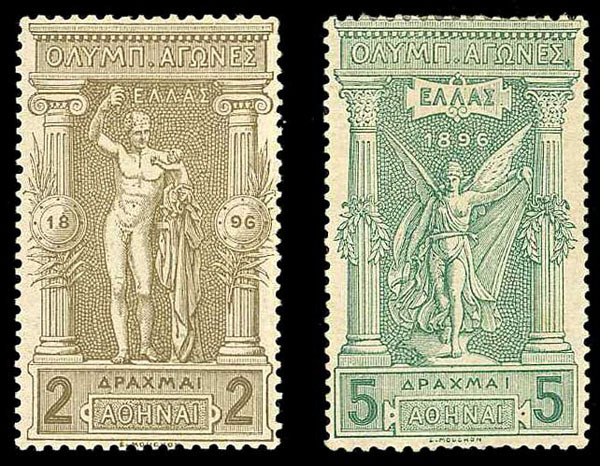 Greece, 1896, 1st Modern Olympic Games, 2d Bister and 5d Green, o.g. ; lightly toned gum, otherwise Fine to Very Fine. 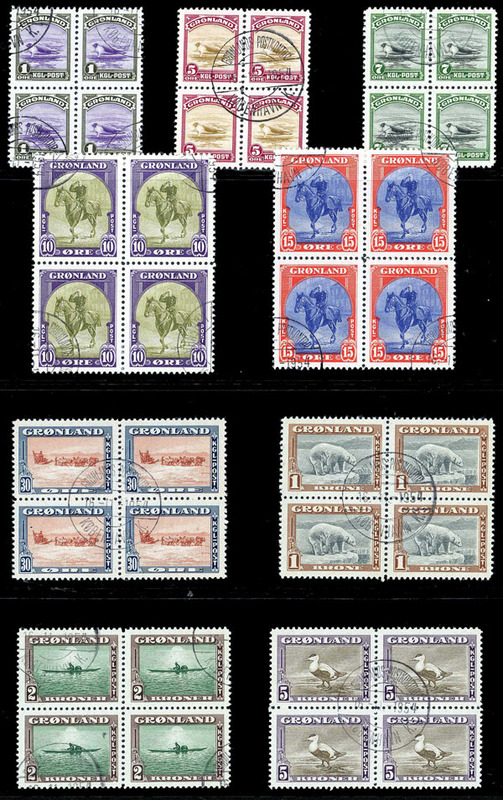 Greenland, 1945, 1öre-5kr Pictorials Complete, Blocks of 4, #10-18, used, Fine to Very Fine. 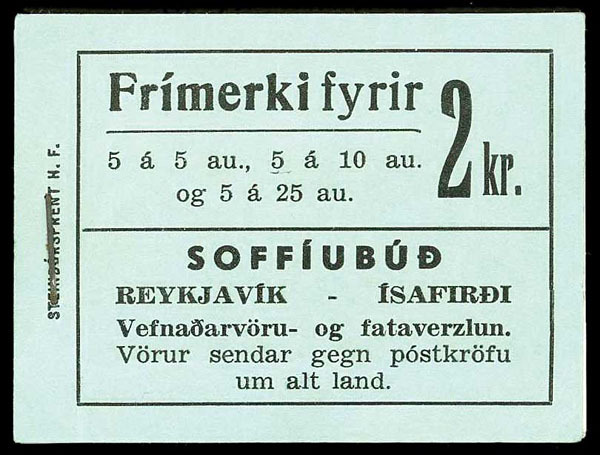 Iceland, 1946 2kr Complete Booklet, Complete Unexploded Booklet, Facit #H4, n.h., Fine to Very Fine. 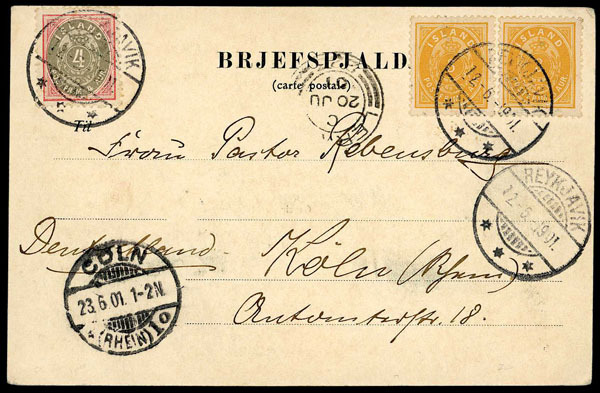 Iceland, 1901, 3a Pair and 4a, Perf 12� on Picture Postcard, #21, 23, All tied with Reykjavik, 12-6-1901 cancels to Coln, Germany; minor card corner bend not affecting adhesives, Fine to Very Fine. 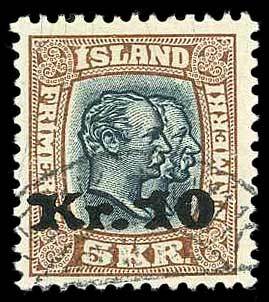 Iceland, 1930, Two Kings, 10kr on 5kr Brown & Slate, #143, Reykjavik cancel, Very Fine, 1997 Nielsen certificate. Italy, Sardinia, 1853 Victor Emmanuel II 40c Pale Rose, #6, cds cancel, 4 margin example, Fine to Very Fine, signed E. Diena, 1980 A.P.S. certificate. 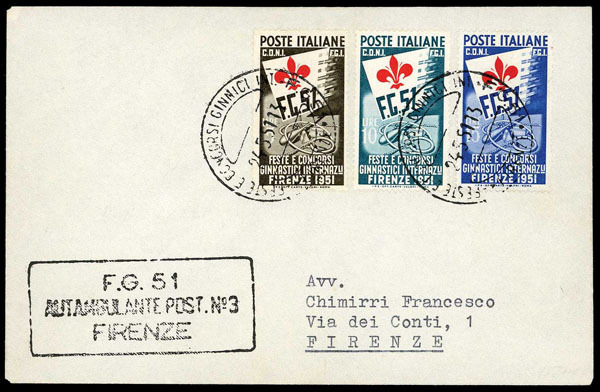 Italy, 1951, 5L-15L Gymnastics Issue on Cover, #574-576, All tied to cachet cover, Fine to Very Fine. 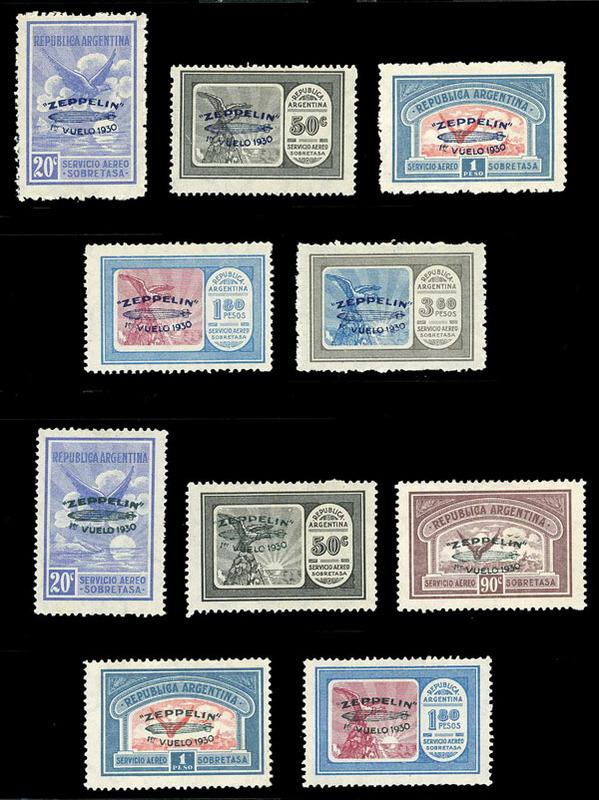 Italian Social Republic, Italy: Social Republic; Parcel Post, 1944 Set of 12, #Q1-Q12, o.g., Fine to Very Fine set. 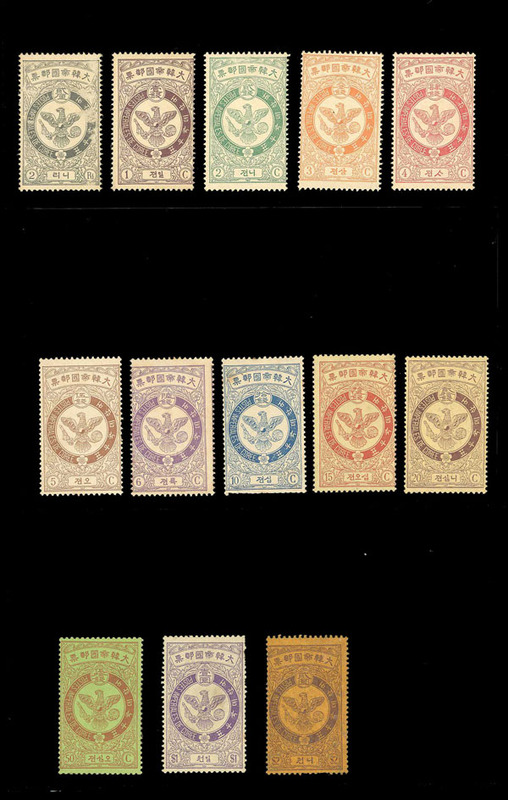 Japan, 1934, Communications Day Souvenir Sheet, #C8, used, Fine to Very Fine. Korea, 1903, Falcon Issue, 2re-2wn Complete, #39-51, o.g. to some dist. o.g. ; #50 and 51 small perf issues, otherwise Fine or better. Korea, 1954, 5h-1000h Complete, #196-199, n.h.; light gum bends, Fine to Very Fine. Korea, 1954, 100h-1000h, #197-199, n.h.; #198 with diagonal gum bend, otherwise Fine to Very Fine. 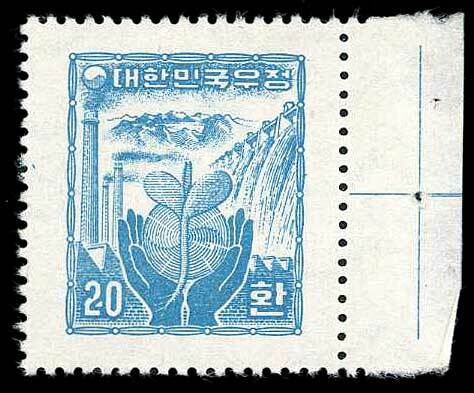 Korea, 1955 20h Blue, #211, n.h., right margin example; few usual minor bends, otherwise Very Fine. Libya, 1921, 2c to 10L Issue, #21-31, o.g., less the 1c, generally Fine to Very Fine. Macao, 1911, King Carlos, 2a on Half of 4a Carmine and "Provisorio", 5a on Half of 10a Slate Blue, #159, 161, ungummed, both halves, Very Fine. 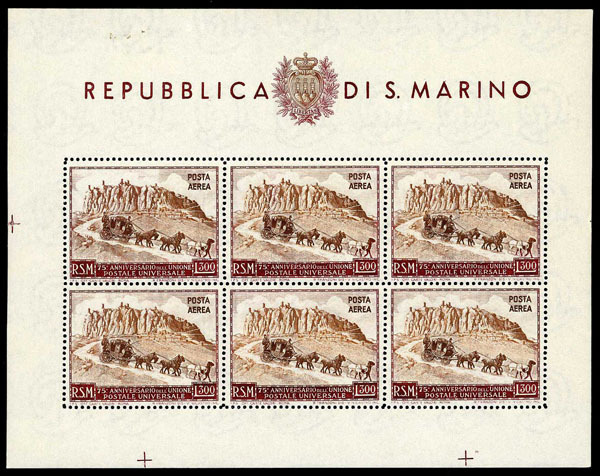 San Marino, Air Mail, 1951 Stagecoach Sheet of 6, #C75, n.h., pinhole at top, otherwise Very Fine. Saudi Arabia, 1961, Wadi Hanifa Dam, Unwatermarked, Blocks Group, #215-16, 218, 221-226, n.h., Nine blocks of 4, generally Fine to Very Fine. Sweden, 1855, 4sk, 6sk, 8sk and 24sk, #2-5, cds cancels; small faults, Very Good to Fine, 2001 Wilen certificates (6sk and 24sk). 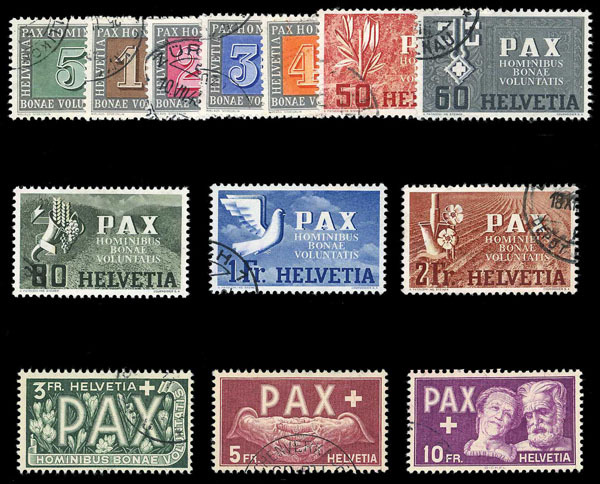 Switzerland, 1945, Pax, 5c-10fr Complete, #293-305, used, Fine to Very Fine.